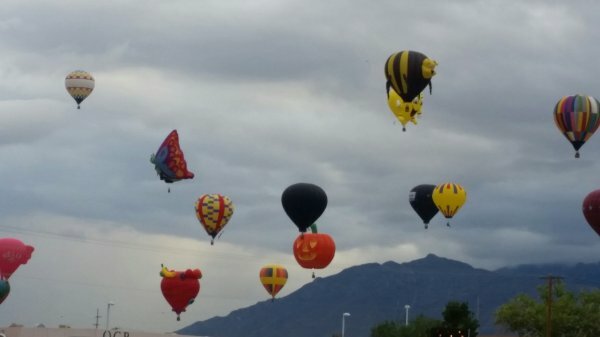 Those of us who live in Albuquerque, NM are blessed to have the International Balloon Fiesta visit us every October, which marks the start of Fall. 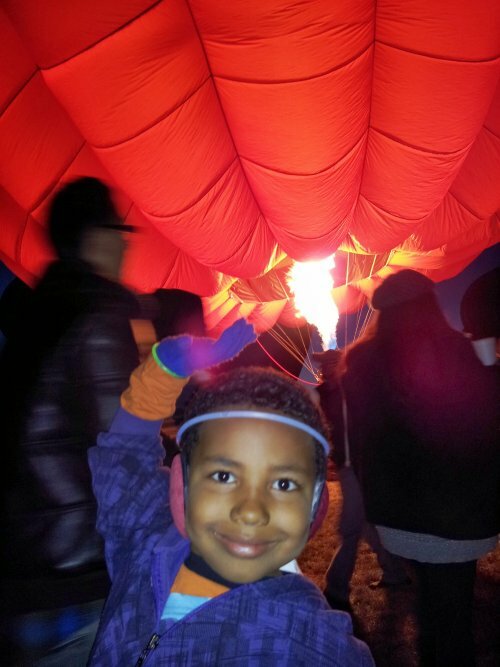 The sky is decorated with lots of hot air balloons that excite everyone, of all ages. It is the most photographed event in the entire world. 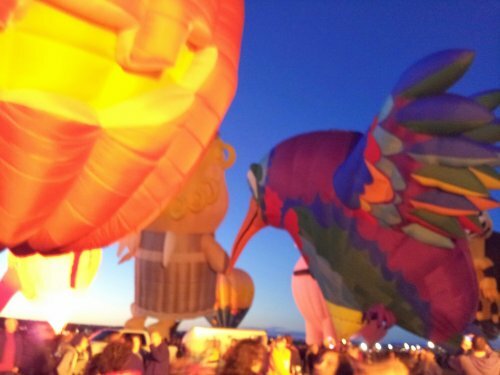 To visit the balloon park, you have to get in a car line for hours and pay a pretty penny for parking and admission. Those of us who live frugally take another route. We park in a dirt lot nearby the balloon park for free and watch the balloons fly right over us as we sip on our homemade hot cocoa. My family's favorite days to go are the Special Shape Balloons days where we get to see really awesome special shape hot air balloons like Spider Pig, dragons, the Bumblebee Family, animals, cartoon characters, pirates and the list goes on and on. Of course, to celebrate the celebrate the coming of Halloween, we LOVE the Jack-o-Lantern. Above is one photo taken while watching the balloons free, while parked in the nearby dirt lot. I also included two photos of the special nighttime event "Special Shapes Glowdeo" so you can see how gorgeous they look up-close and while glowing. Note: The Special Shapes Glowdeo is not free. Just adding the photos for another view since we love them so much. My son is in the last photo, in front of the Jack-o-Lantern.